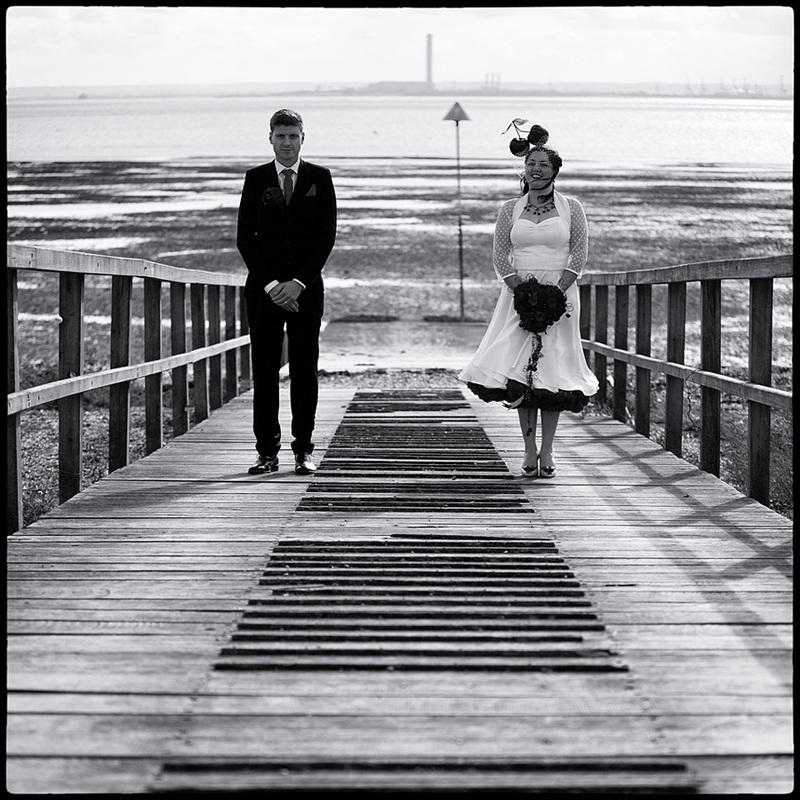 Here’s a super small preview of a wicked wedding that I photographed in Southend this week. We had a blast and I can’t wait to show you more. Congratulations Heidi and Jim! Thank you for a fantastic day. Jim was particularly impressed that even though you were wearing a suit, you lay down in wet sand to take some shots. My thanks to Mr & Mrs Pickles, but I’ll now have a new slide show to watch. Looking forward to the pictures. Thanks again. Nice pic, Congratulations to the newly weds and best wishes. Lovely frame Sam. Let me know when you drop the full set – i want dibs on the first comment! This photo is stunning! Plus I LOVE her hat!